Special Offer: 15% off your total purchase. May only be used 1 time. 1 discount per transaction; 1 discount per family. 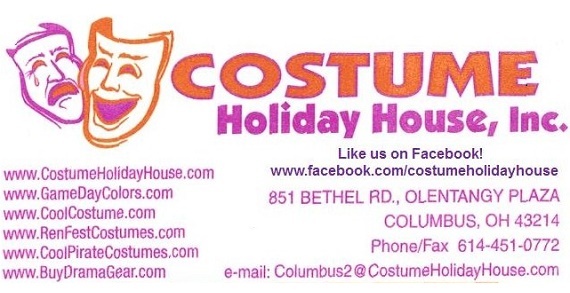 Started in Columbus in 1988, Costume Holiday House is your longest running costume store in Columbus, open 7 days a week on Bethel Road ever since. 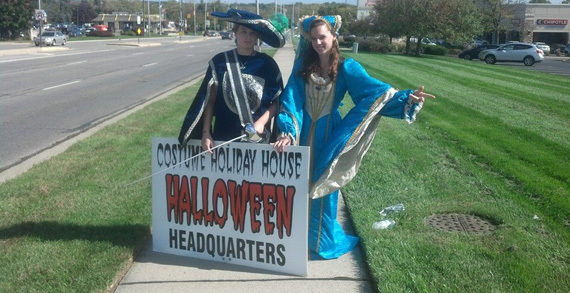 Costume Holiday House has a large selection of anything and everything you may need for a Halloween party, birthday party, school reports, and theatrical plays. Costume Holiday House has tons of wigs, and accessories. Stop in and check out the selection of makeup, hats, shoes, children's costumes, theatrical rental costumes, accessories and more!